Cobb Saddles :: 180 Day Comfort Guarantee! We’re so confident that you’ll find our exclusive range of Cobb saddles comfortable, that we’re now offering a 180 day comfort guarantee! Order any Cobb saddle online and you can return it at any time up to 180 DAYS after purchase (that’s almost 6 MONTHS) if you don’t like it*. *Customers returning saddles will receive a credit from Bike Science that can be redeemed against any future purchase or any Bike Science bike fit. Similar in profile to the V-Flow, but with slightly firmer memory foam. Ideal for road bikes, road bikes with clip on tri bars or TT bikes for riders who prefer a TT/Triathlon specific saddle with a narrower nose. Supportive and comfortable, even over long distances. Shorter profile saddle. Perfect for TT/Triathlon specific bikes for riders who suffer from saddle numbness. Promotes forward rotation of the pelvis with radical deep cut outs and dropped nose. Works best on tri bars, but we have also known roadies get on with them when no other saddle has helped with numbness problems. 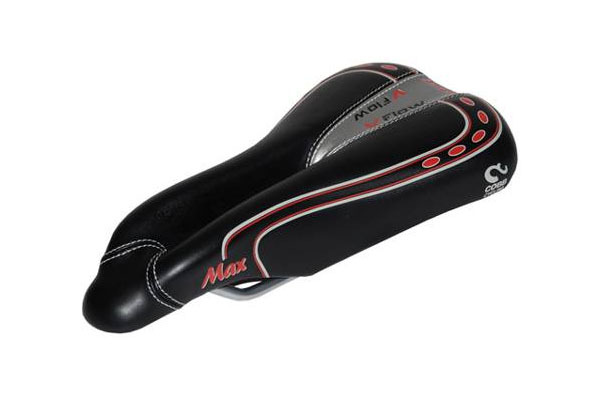 Same firmer memory foam as the V-Flow Plus saddle for excellent support even over long distances. Narrower in the nose than the ISM Adamo range of saddles, so less likely to cause chaffing “down below”. If you found an Adamo a little too wide, this is a great choice. This entry was posted on Thursday, September 15th, 2011 at 5:37 pm	and is filed under All Posts, Bike Fitting, Products. You can follow any responses to this entry through the RSS 2.0 feed. Both comments and pings are currently closed.